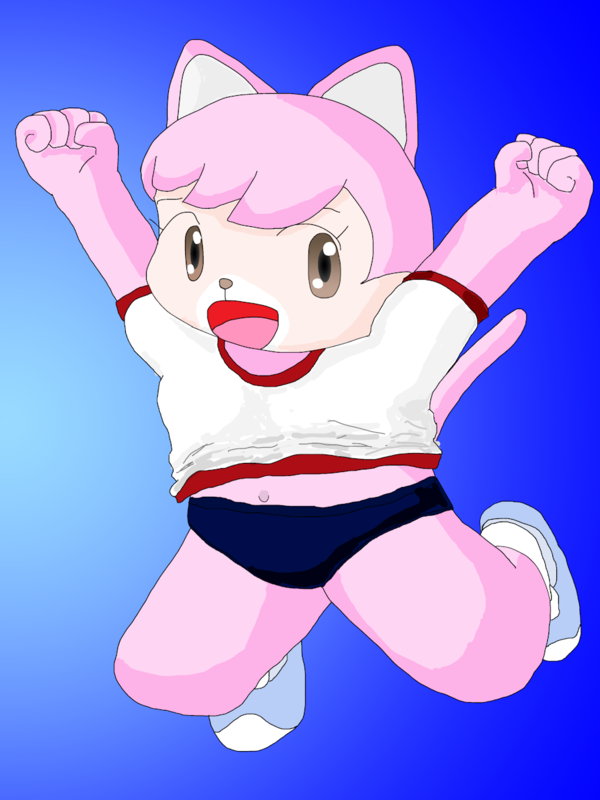 Nyakki is jumping in the blue sky. Her clothes are called "bloomers" are former uniform of Japanese school girl's physical education, from elementary school to high school. The uniform were used until the beginning of 2000's.